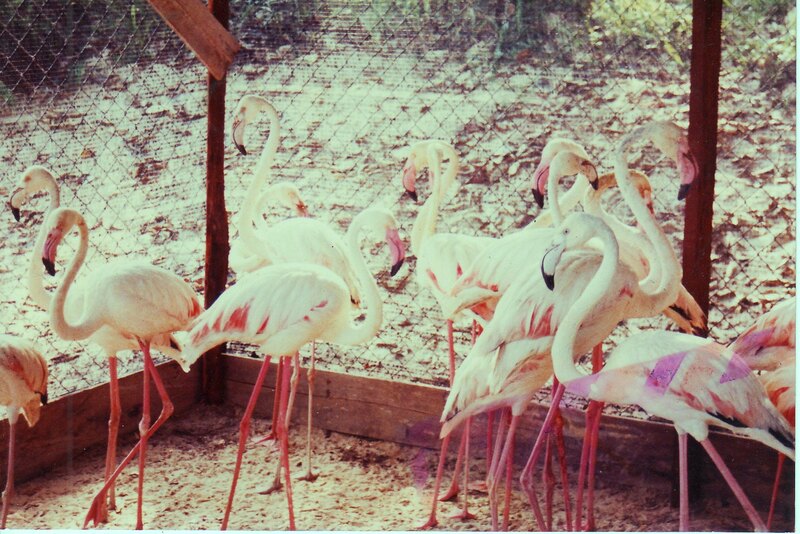 Have you ever imagined a flock of flamingoes from Tanzania landing on a remote wildlife park in Borneo? It was one of the happiest moments in my life when I saw them droppin' by next to my office at the Bintulu wildlife park in 1991. ( Inset:Me and Flamingo having a moment of play). After months of careful planning and preparations and with the experienced services of an importer/exporter of wildlife from Kuala Lumpur, we were able to complete one very satisfying challenge of a life time - to introduce the first ever flock of Greater Flamingoes ( Phoenicophocus ruber) to Bintulu. To my knowledge no other persons or parks on this huge island of Borneo ever kept such birds before. 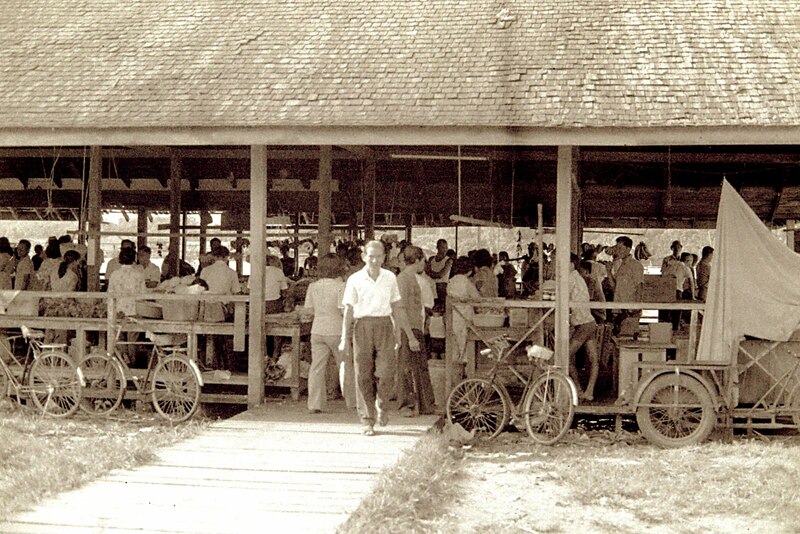 As part of my very diversified list of duties while working with the Bintulu Deveopment Authority (BDA) in the 1980's - 1990's, I was made in charge of the setting up of a wildlife park for the growing township of Bintulu. 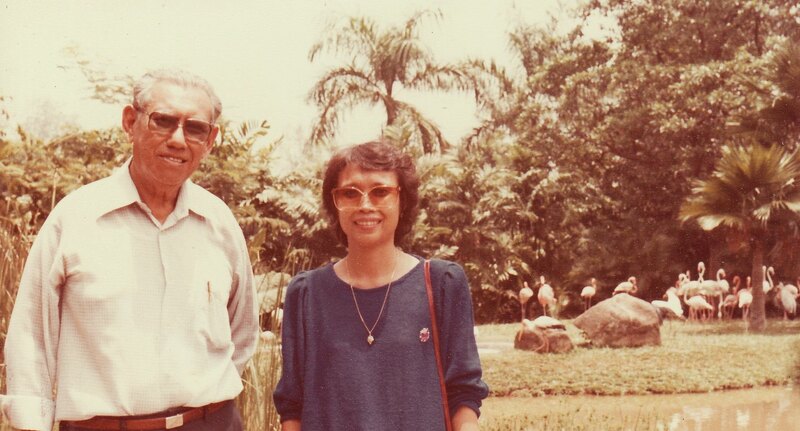 Above: George and my wife with the flamingoes at the background in Singapore Zoological Garden. 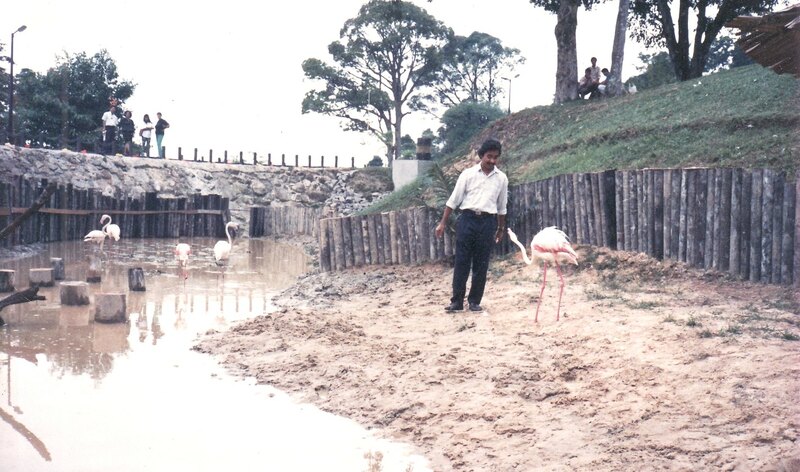 The idea of bringing flamingoes to Bintulu grew out of a visit to the Singapore Zoological Gardens with Arthur George Alphonso, where I saw these big, elegant and sturdy birds in captive care there. Thirteen pairs of the birds landed in Bintulu on 9th July, 1991, from which only 23 birds were accepted as in fine condition for payment purposes. Each pair cost RM 5,500 back then. Trust me, to fly these birds from Tanzania in Africa many pit stops were made. The formula one route taken were Tanzania - Dubai - Kuala Lumpur - Kuching - Bintulu. Remember that they fly with proper"passports" in the form of health certificates, certificates of origin, export/import permits and permits from the veterinary department and the national parks and wildlife departments. It was a taxing excercise but much worth the effort. 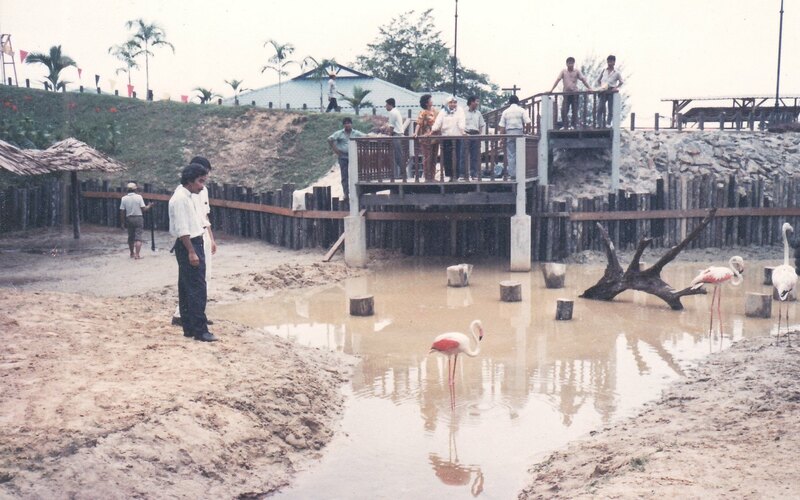 A moat and viewing platform to watch the flamingoes at Bintulu Wildlife Park. Looking back, I say bringing in the flamingoes from Tanzania to Bintulu has been one very memorable chapter etched in my life of adventures.